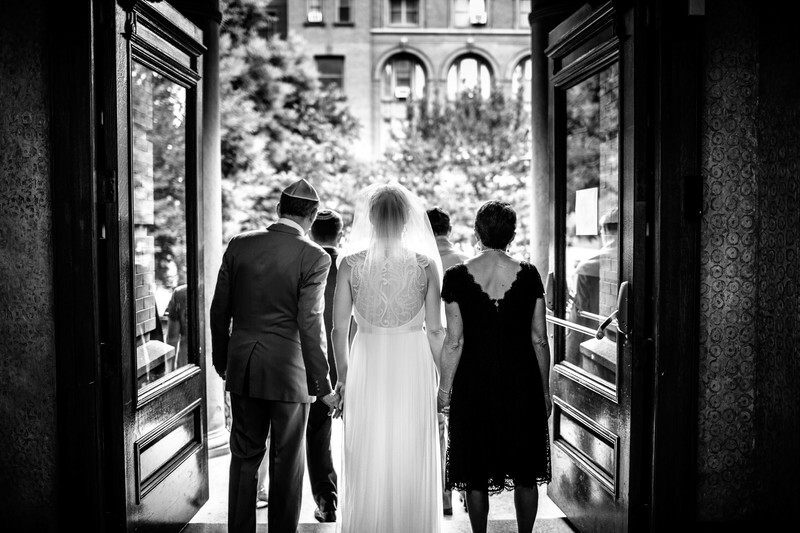 Monochrome images of the parents of bride, as they prepare to walk their daughter toward the wedding ceremony area. This photo is a classic example of the beauty of the second shot - the "other" perspective! Sometimes magic happens from angles where you least expect it. Unconventional and unusual - when used properly can result in sublime images. This is why we underscored to our potential brides the advantage of having two sets of eyes to document the big day. Since we almost always work as a team of two to photographers, we get the luxury of shooting from a "second" perspective that would otherwise be either impossible or extremely tricky. After all, no bride would be too happy about missing out on her and her parents facial expression when they walked down the aisle for their very special moment. However, the same moment, a moment that can't quite be repeated ever again, can be captured from a different angle, which *may* just result in an image from a different dimension! Since Tahmid didn't have to worry about missing out on the "primary" shot, he found his way to capture this absolutely magical moment from behind the parents and bride. this image is certainly one of my favorites, as it has a certain element of timeless beauty about it And captures the pure essence of weddings. Location: 41 Second St, Cambridge, MA 02141.